Aramaic papyrus from Elephantine, dating to Regnal Year 5 of Amyrtaeus (400 BC). Amyrtaeus (hellenization of the original Egyptian name Amenirdisu) of Sais is the only Pharaoh of the Twenty-eighth Dynasty of Egypt and is thought to be related to the royal family of the Twenty-sixth Dynasty (664–525 BC). He ended the first Persian occupation of Egypt (i.e. the Twenty-seventh Dynasty: 525–404 BC) and reigned from 404 BC to 399 BC. Amyrtaeus' successful insurrection inaugurated Egypt's last significant phase of independence under native sovereigns, which lasted for about 60 years until the Battle of Pelusium in 343 BC. The first ruler who came after the foreigners who are the Medes [Persians] was Pharaoh Amenirdais [Amyrtaios]. 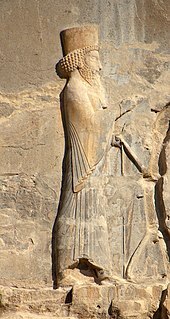 Amyrtaeus was probably the grandson of the Amyrtaeus of Sais who, with the Libyan chief, Inaros II (himself a grandson of Pharaoh Psamtik III), led a rebellion between 465 BC and 463 BC against the Satrap of Artaxerxes I. He is known from Aramaic and ancient Greek sources, and is mentioned in the Demotic Chronicle. A "virtually unknown ruler", he is not known to have left any monuments, and his name in Egyptian is only reconstructed from demotic notices: no hieroglyphic writing of his names has been found. Daric of Artaxerxes II, against whom Amyrtaeus rebelled. Cabinet des Médailles, Paris. Before assuming the throne of Egypt, Amyrtaeus had revolted against the Persian King Darius II (423–404 BC) as early as 411 BC, leading a guerrilla action in the western Nile Delta around his home city of Sais. 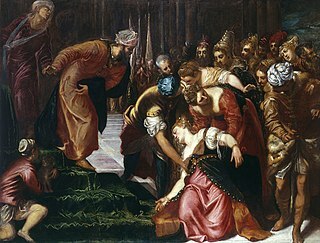 Following the death of Darius, Amyrtaeus declared himself king in 404 BC. According to Isocrates, Artaxerxes II assembled an army in Phoenicia under the command of Abrocomas to retake Egypt shortly after coming to the Persian throne, but political problems with his brother Cyrus the Younger prevented this from taking place, allowing the Egyptians sufficient time to throw off Achaemenid rule. While the rule of Amyrtaeus in the western Delta was established by 404 BC, Artaxerxes II continued to be recognized as king at Elephantine as late as 401 BC, but Aramaic papyri from the site refer to Regnal Year 5 of Amyrtaeus in September 400 BC. The Elephantine papyri also demonstrate that between 404 and 400 BC (or even 398 BC) Upper Egypt remained under Persian control, while the forces of Amyrtaeus dominated the Delta. Androsphinx of Pharaoh Nepherites I. Louvre, Paris. In 1st century BC, the Greek historian Diodorus Siculus wrote in his Bibliotheca historica (XIV, 35.3–5) that a King named Psamtik — which seems to be identified with Amyrtaeus, perhaps being "Psamtik" his lost regnal name — murdered the Greek admiral Tamos who had taken refuge in Egypt after the defeat of the rebel Cyrus. If the information was correct, Amyrtaeus would seem to have acted in this way to ingratiate himself with Artaxerxes II. It is likely that King Amyrtaeus concluded an alliance with Sparta implying that Egypt was provided with military aid by Sparta in exchange for grain. Amyrtaeus was defeated in open battle by his successor, Nepherites I of Mendes and executed at Memphis, an event which the Aramaic papyrus Brooklyn 13 implies occurred in October 399 BC. Nepherites I then transferred the capital to Mendes (Lower Egypt). There is no further information available regarding Amyrtaeus' rule, fall and death. Nepherites I reigned until 393 BC, being succeeded by his designated heir, his son Hakor. ^ a b c d e f g Cimmino 2003, p. 385. ^ a b c d Clayton 1999, p. 202. ^ Lloyd 2003, p. 377. ^ Africanus, Sextus Julius; Staff, Iulius Africanus (2007). Chronographiae: The Extant Fragments. Walter de Gruyter. ISBN 9783110194937. ^ electricpulp.com. "DEMOTIC CHRONICLE – Encyclopaedia Iranica". www.iranicaonline.org. Retrieved 2018-05-05. ^ a b c "Amyrtaeus - Livius". www.livius.org. Retrieved 2018-05-05. ^ Clayton 1999, pp. 201, 203. ^ Sachau, Eduard (1909). "Ein altaramareischer Papyrus aus der Zeit der aegyptischen Koenigs Amyrtaeus", in Florilegium: ou, Recueil de travaux d'érudition dédiés à monsieur le marquis Melchior de Vogüé à l'occasion du quatre-vingtième anniversaire de sa naissance, 18 octobre 1909. Paris: Imprimerie Nationale. pp. 529-538. ^ Cowley, Arthur (1923). Aramaic papyri of the fifth century B.C. Oxford: Clarendon Press. pp. 129–131. ^ a b Kuhrt, Amélie (2013-04-15). 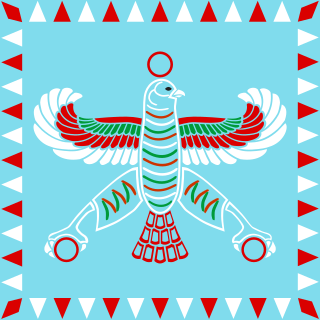 The Persian Empire: A Corpus of Sources from the Achaemenid Period. Routledge. ISBN 9781136017025. ^ Cimmino 2003, p. 388. Cimmino, Franco (2003). Dizionario delle Dinastie Faraoniche. Milan: Bompiani. ISBN 978-8845255311. Clayton, Peter A. (1999). Chronicles of the Pharaohs. London: Thames and Hudson. ISBN 978-0500050743. Lemaire, A. (1995). La fin de la première période perse in Égypte et la chronologie judéene vers 400 av. J.-C., Transeuphratène 9, Leuven: Peeters Publishers. pp. 51–61. Lloyd, Alan B. (2003). The Late Period, in The Oxford History of Ancient Egypt, edited by I. Shaw. Oxford: University Press. ISBN 978-0192804587. Perdu, O. (2010). Saites and Persians (664—332), in A.B. Lloyd (ed. ), A Companion to Ancient Egypt Chichester: Wiley-Blackwell. ISBN 978-1118785140. pp. 140–58 (at pp. 153–7). Ray, J.D. (1987). Egypt: Dependence and Independence (425-343 B.C. ), in: Achaemenid History I: Sources, Structures, and Syntheses, edited by H. Sancisi-Weerdenburg. Leiden: Nederlands Instituut voor het Nabije Oosten. pp. 79–95. Ahasuerus is a name used several times in the Hebrew Bible, as well as related legends and Apocrypha. This name is applied in the Hebrew Scriptures to three rulers. The same name is also applied uncertainly to a Babylonian official noted in the Book of Tobit. Wahibre Psamtik I, known by the Greeks as Psammeticus or Psammetichus, who ruled 664–610 BC, was the first of three kings of that name of the Saite, or Twenty-sixth Dynasty of Egypt. Historical references for what the Greeks referred to as the Dodecarchy, a loose confederation of twelve Egyptian territories, based on the traditional nomes, and the rise of Psamtik I in power, establishing the Saitic Dynasty, are recorded in Herodotus's Histories, Book II: 151–157. From cuneiform texts, it was discovered that twenty local princelings were appointed by Esarhaddon and confirmed by Ashurbanipal to govern Egypt. Arsames was an Achaemenid satrap of ancient Egypt during the 5th century BC, at the time of the 27th Dynasty of Egypt.